The ORIGINAL is pen and pencil on 8"x8" acid-free paper. PRINTS: This cartoon is printed with top quality archival inks on premium heavy matte paper... acid-free, archival, meant to last. This is NOT a photocopy, but a fine art print. It comes not matted or framed. I own the copyright to all my images. 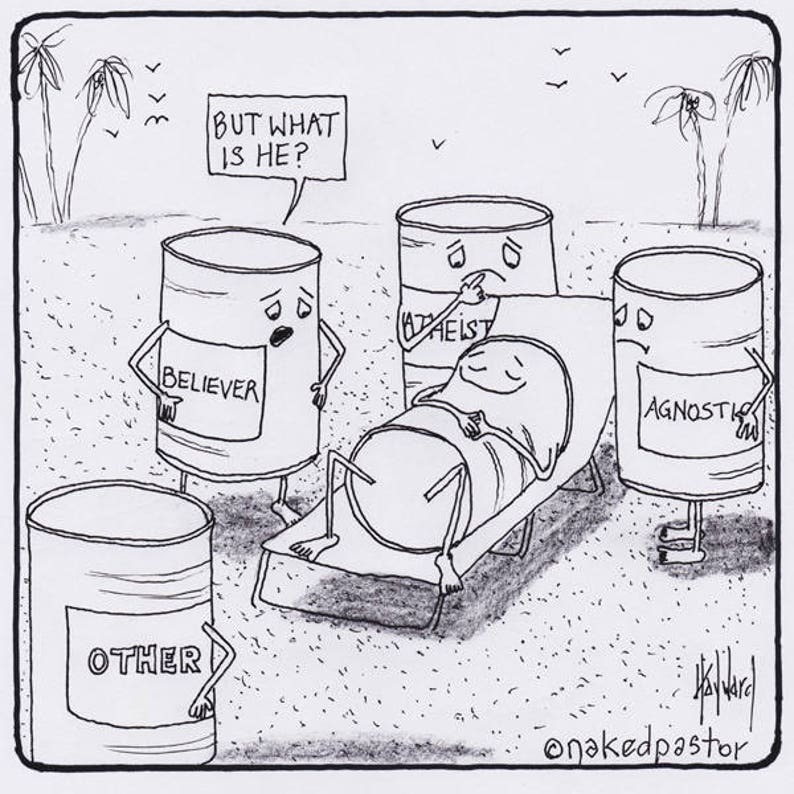 Check out my blog, nakedpastor.com, for more about me and all of my work. Quickly and safely shipped. I love this piece and can’t wait to give it to my pastor. I know he’ll really like it. A true work of art! I have purchased this print for two pastors and they both love their artwork. The Christ Collage print is a beautiful and diverse work of art! I have now purchased two prints! Thank you, David Hayward for your amazing artistic talent!